I am making a limited number of books available with special signature customized per request in cooperation with Health by Principle. 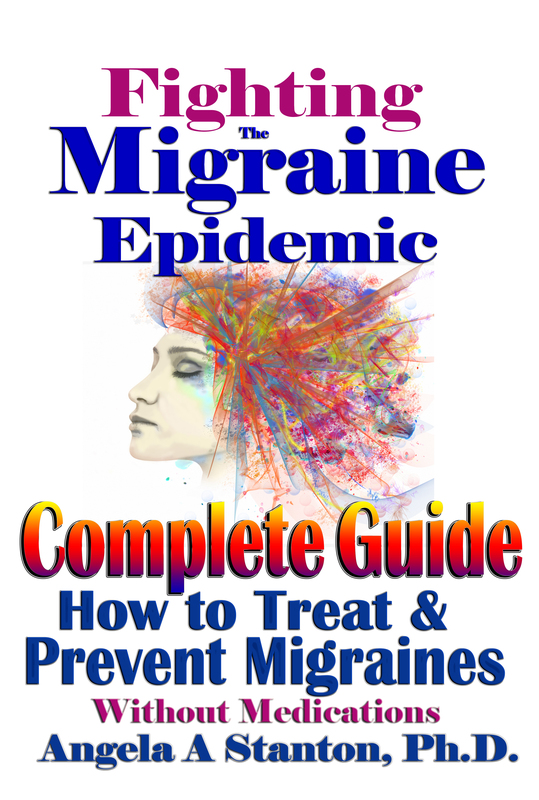 This book is an updated and extended version of the 1st edition “Fighting the Migraine Epidemic: How to Treat and Prevent Migraines Without Medicines. An Insider’s View”. Migraine is a genetic condition and in order to have migraine, one must have a “migraine-brain,” which is anatomically distinct from the brain of non-migraineurs. Migraine is not a headache—many migraines don’t even come with pain. Migraineurs have genetic variances that collectively hint at metabolic challenges associated with our modern lifestyle. Migraineurs metabolize glucose and fructose very poorly. These substances generate a host of undesirable metabolic reactions that lead to electrolyte imbalance and insulin resistance. Once the challenges are recognized and the undesired processes stopped, migraine can be averted or prevented. At the time of writing this book, over 4000 migraineurs have become migraine and medicine free using the methods described in this book. Reduction of medicines happens naturally as migraineurs become migraine free and no longer have use for them. This book is a complete guide. It includes a section for quick emergency treatment for an ongoing migraine and sections with thorough explanations of what migraine is and what it requires to prevent it. The book concludes with a part for scientists and doctors with lots of academic citations. I get new testimonials in my Facebook migraine group regularly. I only ask for permission to post those that contain no private information so I am not posting every day. But you should check them out frequently. All of them can be found in the migraine group. Please visit the testimonials page on my Stanton Migraine Protocol® site and share with migraineurs you know need help. An article I wrote was just published. It is sure to turn some heads, roll some eyes, and get the blood pressure up for some as well. I am a rebel and will say what needs to be said. This is a significant update on what migraine-brain is and why we have migraines. Read the article and share it to save migraine sufferers from those torturous medicines they are forced to take. There is no need to medicate migraine. We just simply need to understand what it is and learn how to prevent it. It is so simple. Don’t forget to tune in and listen to my radio hour at 10 AM Central (8 AM California and Pacific, 11 AM New York), 4 PM UK and 5 PM Europe. It is coming on in 20 minutes! Do you have questions about migraines? On Thursday, February 2nd, at 10 am Central (8 am Pacific, 11 am Eastern) I will be on a radio talk show for an hour with host Patrick Timpone at One Radio Network (located in Austin, Texas) talking about migraines and health. The radio station invites emailed-in questions you wish me to answer and provides a toll-free number to call in and ask. The show is broadcast over the internet live so no matter what country you are located in, you can listen in. The podcast can be downloaded and shared. More updates will follow since I only have my name showing on the schedule and not yet the write-up of the discussion. If you want to listen in for today’s shows live the discussion is on health. healthy fats, and how to stop your doctors from killing you. My show will be broadcast live there as well. The podcast will be available to download and share! Enjoy and listen to mine on Thursday! Please share! Looking forward to hearing from you by email or phone on Thursday! Sharing a recently published article. It explains the genetic foundation to all of my work and discovery of the ionic pump issues associated with migraines at the voltage gated sodium-potassium channels and ATPhase which is associated with mutations in the glucose metabolism processes. It discusses hyper sensory organ sensitivity, the mutation of voltage gated pumps that migraineurs need to use extra salt in their diet for. It also provides a genetic mutation base for the glucose intolerance migraineurs seem to have. It is an open access article, so if you are interested and familiar with the terminology, chew your way through it! My hypothesis, based on which the Stanton Migraine Protocol® is built and the book “Fighting The Migraine Epidemic: How To Treat and Prevent Migraines Without Medicines – An Insider’s View” is written, is provided a solid genetic foundation 2+ years after I published my book and started to treat migraineurs. Very grateful and happy! Now we know the genetics behind why migraineurs using the Stanton Migraine Protocol® are so successful at becoming and staying migraine and medicine free: we took control of the very channels that have genetic mutations and control the ionic process with precision. This is a short post since what I wish you to read is the story of the Marathon runner and not what I write. This testimonial is a blog written up by one of the migraineurs who read my book and is using the Stanton Migraine Protocol with a caveat: she is a Marathon runner! Interestingly I have several Marathon runners in my care. This is a two-part long blog so I link you to both parts. Part 1 and here is Part 2. Enjoy the story and wish her luck for her next Marathon! My rebuttal-commentary warns a publication in a previous issue that claimed to be the discoverer of the fact that dietary salt and migraines are in inverse relationship, that the claim that they are the first is incorrect. After all I have been publishing along these lines for over two years now–including my book that explains why.